If you are in the market this spring for a new home, chances are you are also in search of the perfect location to build your dream home. If you find yourself in this position, then you have come to the right place! Weston Dean Homes not only builds the best of Boerne custom homes, they also built in some of the most desired communities of San Antonio as well. If you are wanting to build your dream home in the Boerne area, Weston Dean is a proud builder in the highly sought after Diamond Ridge community. This community is priced from the $500’s and is in the Boerne ISD school district. One visit to Diamond Ridge and you will quickly see why it has quickly become one of the most sought after locations in the Boerne area. This community offers coveted cul-de-sac lots that are spacious in size. If you are a fitness lover, you will enjoy the convenience of community tennis and basketball courts located just steps from your home! There is also a peaceful fishing pond that would bring much welcomed quiet and tranquility to the early morning fisherman or even just one who wants to take a walk or run around the pond. Imagine the sunsets that you can experience from your back patio each evening as you enjoy a nice dinner or cocktail on your custom built back patio space. If you have kids or grandkids, it is safe to say you will spend many hours at the community part and playground. If you have kids of the fur kind, they will love running around the park with you just as much! As a Diamond Ridge resident, you also will have the community clubhouse to enjoy. You will appreciate the security and safety of the gated front entrance of this community, giving you peace of mind each night as you go to bed or travel. Another huge draw to this location is the fact that Boerne has NO city taxes! A huge win and reason why many choose to call Boerne home. If you think Diamond Ridge may be the perfect location for Weston Dean Custom Homes to bring your new home dreams to life, call 210-408-9107 today or contact us to book a time to talk with a custom home specialist today! Weston Dean invites you to contact us to find out more about our Green Building commitment and how we can make these benefits work for you! Weston Dean is proud of its commitment to green building in each of the custom homes they build in the San Antonio area. When new homebuyers start looking at custom home designs, they’ve usually decided on custom homebuilding due to the flexibility of floor plans as well as attracted to the idea of having everything wholly reflect their values and life priorities in their new home. A green home not only is a commitment to being environmentally conscious and friendly in your daily life, but it also shows forethought into you and your family’s well-being. Green built homes are economically advantageous (by cutting energy costs and using energy more efficiently overall) as well as offers a substantially healthier way of life day to day. How is all this possible? Just read on; we’ll tell you! Throughout many new home construction projects, you’ll discover that much of the building materials are imbued with chemicals, some of which are toxic, others just not nearly as beneficial to your health. Paint, cabinets, and other parts of your brand new home may be home to surfaces containing formaldehyde. This is not uncommon; many of these products naturally are introduced to adhesives or other chemical bonds with this. While clearly unpleasant, the lasting effects are dire. Formaldehyde releases a gas that can be present for years, affecting your daily life in many negative ways such as headaches and contributing to fatigue. Weston Dean specifically uses alternative building materials without the present of this and other such carcinogens. Additionally, a custom home by Weston Dean means that particular attention is paid to the ventilation throughout your home, increasing and maintaining a high quality of air to breathe and reduce the likelihood and development of mold, allergens and other unwanted air-bound particles. 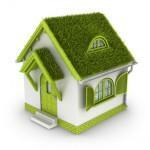 Green building lets you live as you ordinarily would, doing all the hard work for you and your family. When you add these higher quality construction materials with our custom building practices, you reap the benefits of careful craftsmanship that not only last years (and thereby reducing the costs for replacements over time), but creating full self-regulating systems set at your optimum level. Our products last longer at little maintenance to you. Even better, our building expectations far exceed the minimum standards. When you have appliances, insulation, windows, and other household necessities working more efficiently while pulling less energy to do their jobs, you save money month to month in bills and other areas of home maintenance. Our building techniques take advantage of natural resources (such as natural heat from the sun) as well as creatively utilizing the energy needed in general. This easily amounts into thousands of dollars saved each year – who wouldn’t make that change?